The Chinese and South Korean League of Legends championships are some of the strongest in the world. At the regular season has ended in both countries, the playoffs are about to start and the opening round will take place this week. At the end of the weekend we’ll know the name of the two finalists in the LCK, as well as the four teams who have qualified for the LPL semifinals. The first match to be played in the playoffs is the one between Sandbox Gaming and Damwon Gaming who finished the regular season in the 4th and 5th places. Sandbox won more games in the regular season, so bookmakers are tempted to credit them with the first chance. At the time of writing, punters who bet on them to prevail will be paid at 7/10 at Rivalry, but the odds are expected to drop. That’s because they have also defeated Damwon Gaming in both direct matches played in 2019. Having said this, the series were decided in three matches, so there is definitely value in the odds of 6/5 offered on Damwon to win. Kingzone have ended the regular season on a positive note and as a result, they have finished in the third place. As the team waits for a winner to be decided in the match between Sandbox Gaming and Damwon Gaming, the second round will be played on April 5. The odds are yet to be determined, but Kingzone will be the favourite regardless of the team that qualifies. The winner of this match will play on Sunday against SKT 1 who has surged to the second place after a terrible start. 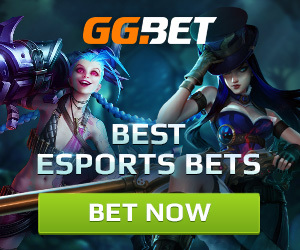 Once again, they are expected to be credited with the first chance at ArcaneBet, regardless of their opponent. The first match of the playoffs between Team WE and JD Gaming is a very interesting one. That’s because the two teams have met in the last round of the regular season in a game that counted exclusively for the final placement. JD Gaming were expected to prevail, but instead, lost in straight matches, so for the match scheduled on April 4, the odds were reversed. Punters only get odds of 1/2 on Team WE to win if they bet at Pinnacle, while JD Gaming are now the underdogs and get odds of 13/10. Edward Gaming were comfortably sitting in the fourth place, certain of their presence in the playoffs. Complacency and a tough schedule has caused them to plunge into the eighth place and qualify from the last eligible spot. They are nonetheless favourites to advance to the next round in the match played on April 5 against SinoDragon. 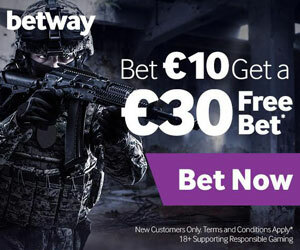 Edward Gaming have the better and more experienced roster, which explains the odds of 3/5 at Betway, as opposed to 6/5 for SinoDragon.